Caption slip reads: "Photographer: Wyman. Date: 1954-03-27. Reporter: Turner. Assignment: Amnesia (she sez(?)!!). 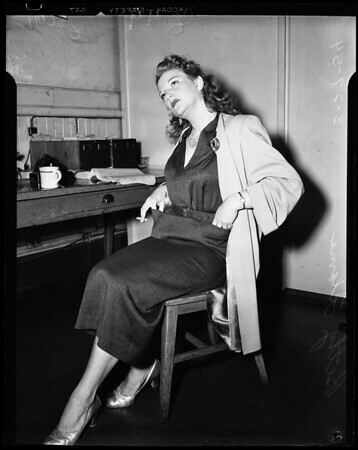 49/50: Stripper Betty Flame (professional name) amnesia victim at Central Police Station".